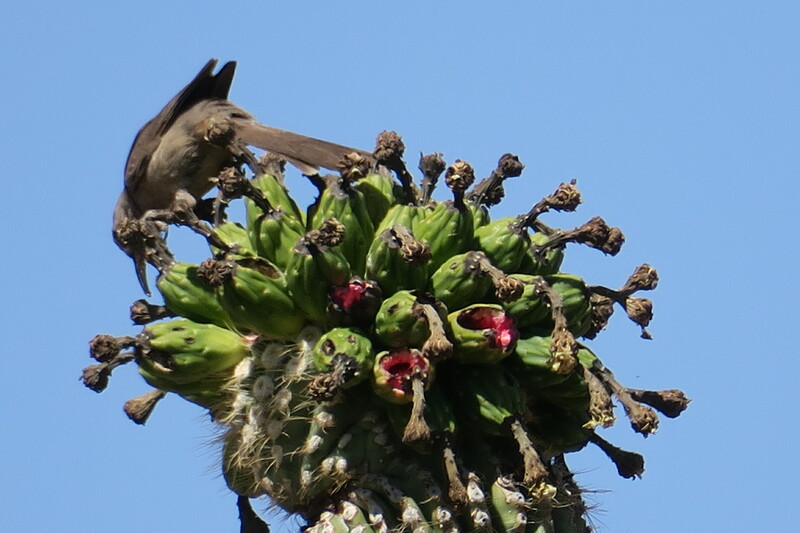 I did not have great expectations of getting many animals in photos during my quick trip to Scottsdale. It is desert and it is hot and the sun is always shining and there is little shade. My poor skin cannot handle very long bouts in these conditions so my initial plans included hikes in the early morning, spa in the afternoon and dinner with friends who lived in the area. 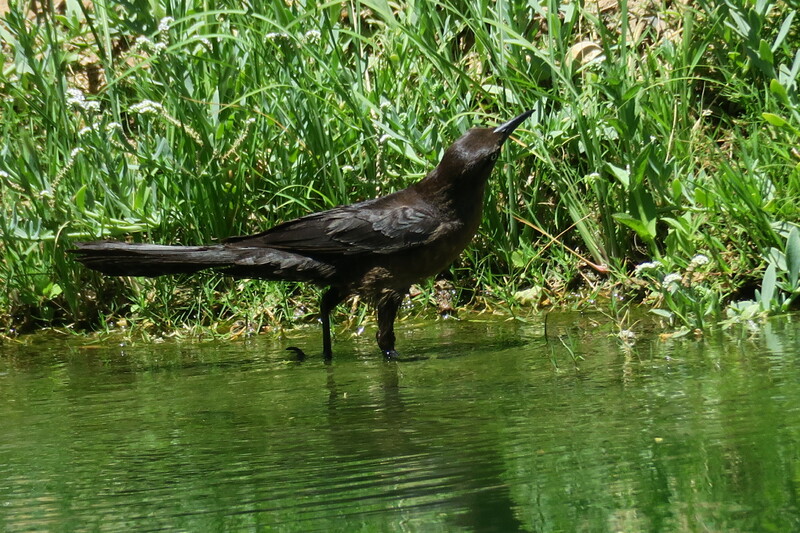 However, within minutes upon my arrival, my eyes and ears were delighted to discover a trove of creatures that would keep me very busy. So loaded with extra duty sunblock, sunhat, a large thermos of cold water and extra camera batteries I spent many happy hours taking photos. Here are some of my favs. 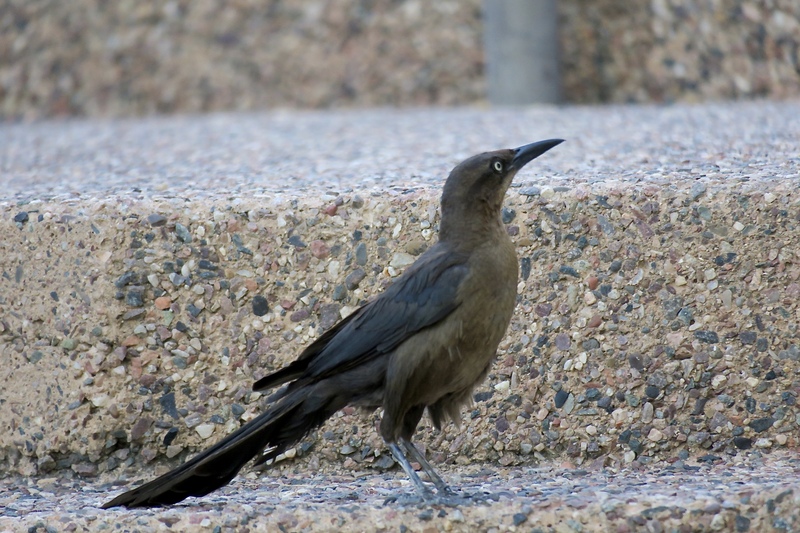 GRACKLE – There are many grackle species found throughout North and South America, and the one that I encountered in Scottsdale was the long plumed great-tailed version. 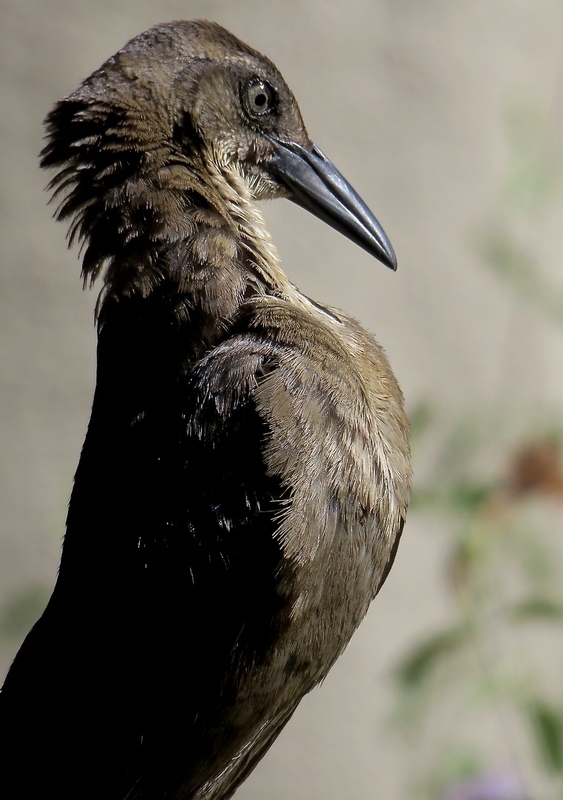 Their feathers are iridescent so depending on where the sun was shining – these birds flashed many different colors – black, blue, brown and gold. 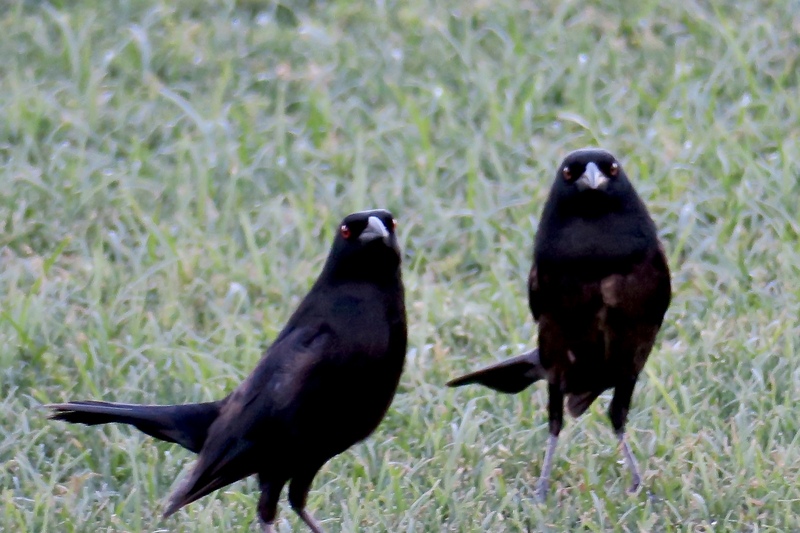 They are social and very gregarious so unlike tracking birds at home, these were easy to find. 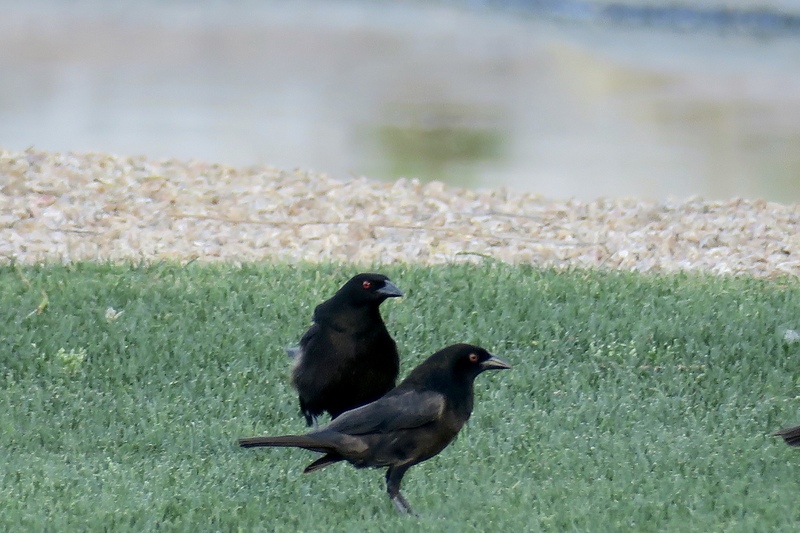 The grackle’s elaborate ritual is quite successful for as it turns out, both males and females may decide on more than one mate. 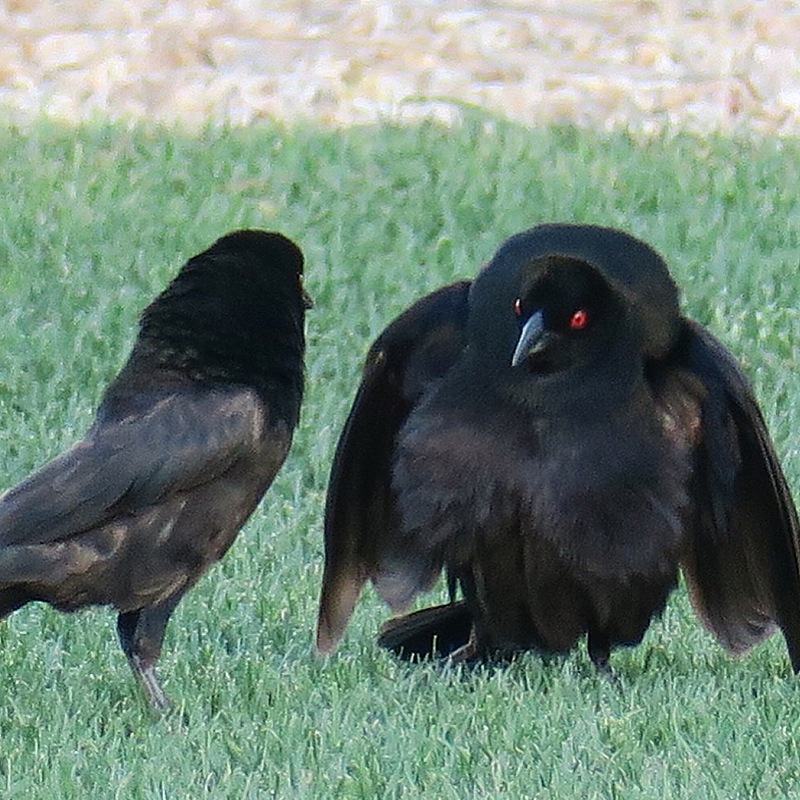 As entertaining as the grackle is, I think the cowbird wins the prize for most striking mating and nesting behavior. 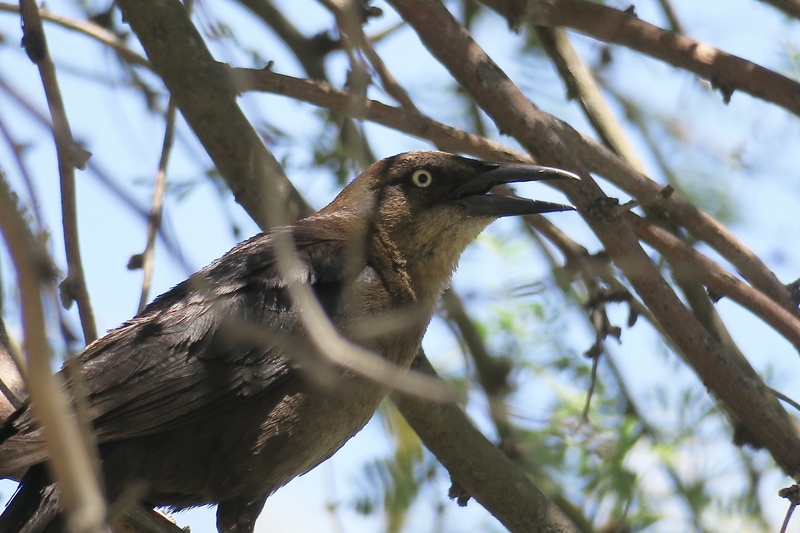 The females also have quite an unusual trick up their sleeve for it does not make a nest, but instead lays her eggs in the nests of other bird species. 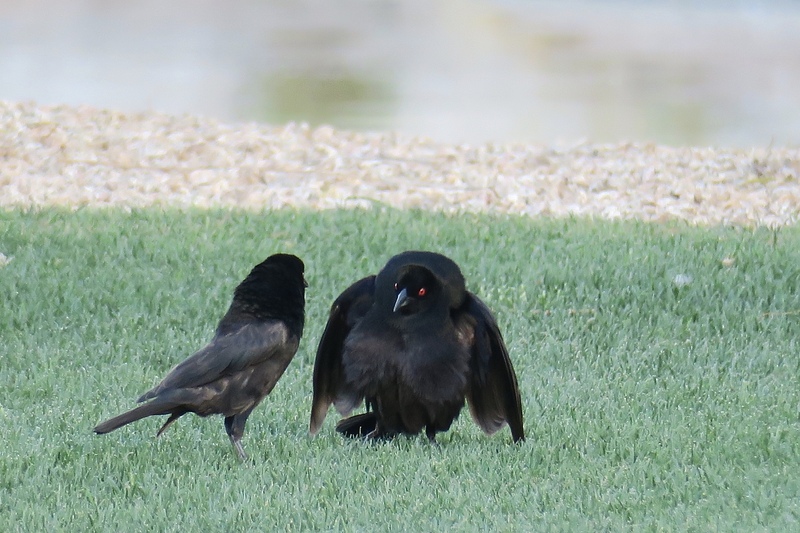 They are called “brood parasites” for this reason. 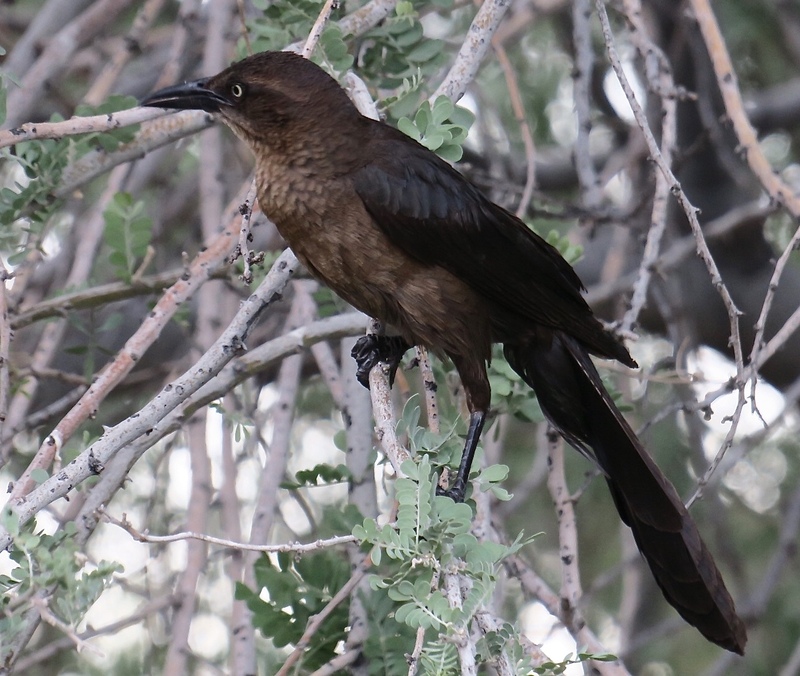 In fact, to insure success, cowbirds often peck other eggs in the nest to reduce competition. 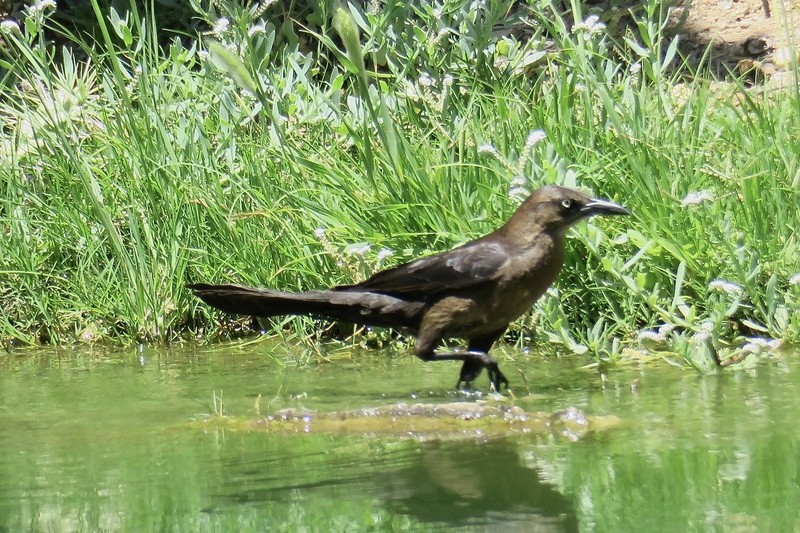 Cowbird males and females, like grackles are promiscuous . Nature is sure full of surprises. 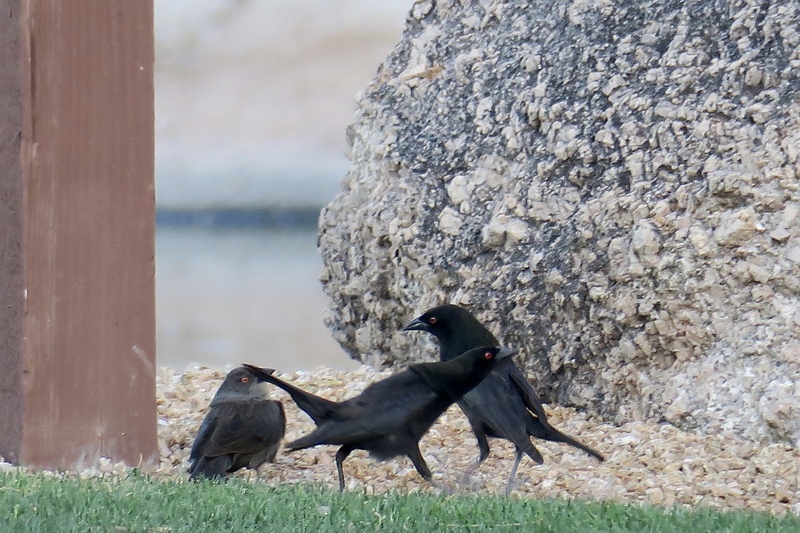 This entry was tagged ARIZONA, CRACKLE COWBIRD, DESERT ., NATURE, PHOTOGRAPHY, SCOTTSDALE, SONORAN DESERT BIRDS, TRAVEL, USA. Bookmark the permalink. Loved the birds. Makes me want to make a quick trip to Scottsdale!